And boy was it cold! But Lily + Aaron were troopers, and the spiked hot cider didn’t hurt either! Lily was stunning, surprising no one, and look at the detail on the back of her dress! Holy smokes was that pretty! I love details like that! Congratulations to Lily + Aaron, and thank you both so much for inviting me to come hang out with you and celebrate! If you’d like to check out their engagement photos (which I would recommend since they’re so darn cute!) click here. 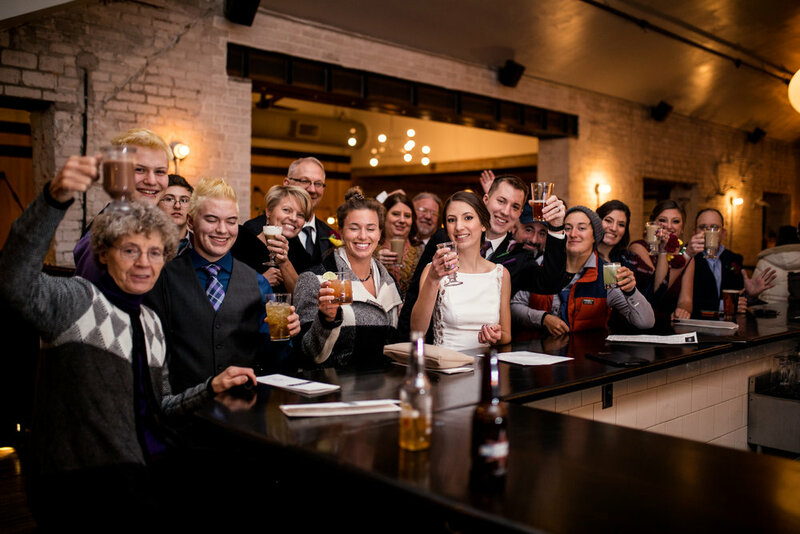 Here are some of the awesome wedding vendors who helped make their wedding day fabulous!